I finally finished it today, sat on a bench in the beautiful sunshine, surrounded by ducks and flowers. It sounds idyllic, but actually it was a short 30 minute break in which I also had to eat my lunch and buy some tights. Oh the glamorous life I lead. It led me to think how wonderful life would be if there was a whole day in the week that we could spend just sitting, reading and daydreaming. It seems Lena Dunham feels the same way. 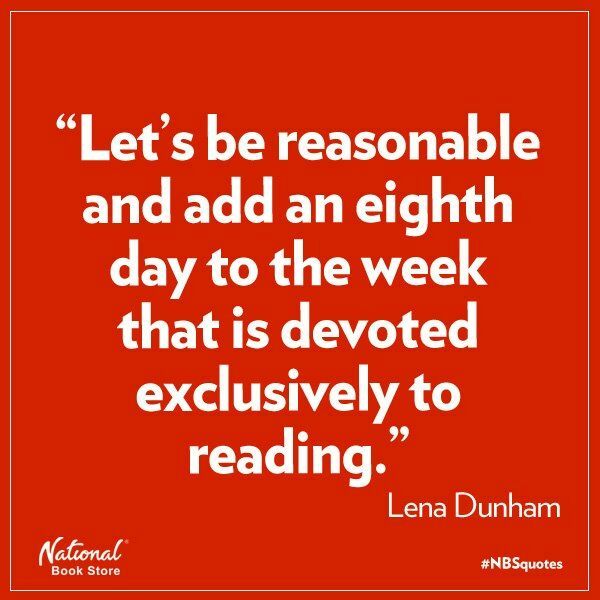 Whatever you’re doing this week, make sure you save some time to get lost in a good book. You won’t regret it! Feeling lonely, confused, and in need of comfort, Kiera turns to an unexpected source – a local rock star named Kellan Kyle. At first, he’s purely a friend that she can lean on, but as her loneliness grows, so does their relationship. And then one night everything changes…and none of them will ever be the same. Thoughtless is a New Adult romance novel set in Seattle. 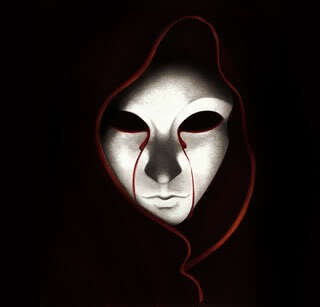 The story is told from Kiera’s perspective, the female protagonist. The story is about a young couple, Kiera and Denny, who move to Seattle, Denny for an internship and Kiera, for a college scholarship. They rent a room from Denny’s friend Kellan, and a slow but red-hot affair begins between Kiera and Kellan. The writing of this book was gripping and addictive. I couldn’t put it down and when I had no other choice but to, I kept thinking about the story. It is a character driven novel with little world-building but the way S.C Stephens writes tension between characters was amazing. The tension between Kiera and Kellan was sizzling! I really felt it whilst reading. Kellan was my favourite character. Drop dead gorgeous, good with his hands, cheeky, charming and funny. Some of his dialogue had me laughing out loud. He was a very swoon worthy character whom I couldn’t get enough of. Kiera, what can I say! OK, the affair started innocently enough, but the fact that she allowed herself to get into that situation and still think that she was innocent, is beyond me. She was insanely naive and selfish, essentially bed-hopping between two men who loved her and whom she claimed she loved. Her indecisiveness was shocking and about 75% in, it started to get annoying. Kellan was what kept me reading. I just wanted to slap her. I don’t believe anyone, experienced in love and relationships or not, could lead two men on that they love, continuing to hurt them profoundly because of her indecision. It started off feeling like nativity but ended up being just downright selfish. Eventually there was a happy ending but, I don’t feel like Kiera deserved it. The story is though provoking and made me think about what I would do in her situation, but I could not relate to her because I believe my decisions would have been different. Did I mention she was crazy clingy too? Overall the story was good, I really enjoyed reading it and would recommend it if you don’t mind reading about infidelity. I also feel the need to apologize in advance because this post will probably get rather swoony. Rhage – Black Dagger Brotherhood. There are many reasons Rhage is my favourite Black Dagger Brother. He’s funny, laid back and says it as it is. He’s also 6 ft 8 and transforms into a dragon type beast when he loses his temper. All my favourite things. 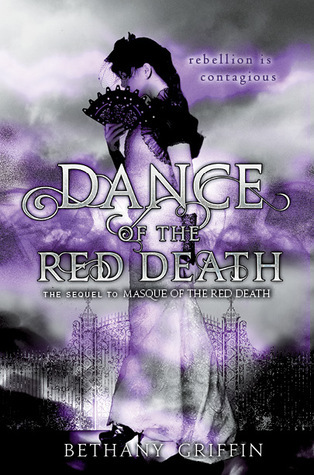 In my opinion all scenes in BDB are improved by Rhage and his book is still my favourite in the ever expanding series. Plus any character that Jesse Pavelka can portray is fine by me. I feel like I’m going to tick all he stereotypical supernatural boxes. Vampire – Tick. Werewolf – Tick. Still Clay is lovely (we won’t talk about him biting Elena against her will) and I love his protective streak – which might also be a common theme here. He is clever, gorgeous, loyal and very anti social. I think we would get along great. Stefan – The Vampire Diaries. Okay, so maybe we aren’t done with the vampires yet. This is the last one, I promise (as much as I want to include Edward….) and yes I chose this picture for the suit. You are welcome. The main things that I love about Stefan is that he is a gentleman and he’s sensitive. Got to love a guy that keeps a diary. The Salvatore brothers seem to divide people, and I’m firmly on the Stefan side. It’s just a shame that Jeremy isn’t in the books. Fade – The Razorland Trilogy. I couldn’t find a picture I liked enough for Fade but he is described as having silky black hair and impossibly dark, deep eyes with a ring of violet surrounding. He is lean and fit and fights with a grace that no one else can compete with. Fade goes through a lot in these books and some pretty gruesome things at that, but he is such a strong character and I think that is what is most appealing about him. Plus he’s just lovely. Akiva – Daughter of Smoke and Bone. I know you’re all shocked by this one. I love Akiva – he’s my favourite. I’m not sure I need to say much more! I’m sure you’re all fed up of hearing about it by now. This brush with danger was all my Pride needed to summon me back . . . for my own protection. Yeah, right. But I’m no meek kitty. 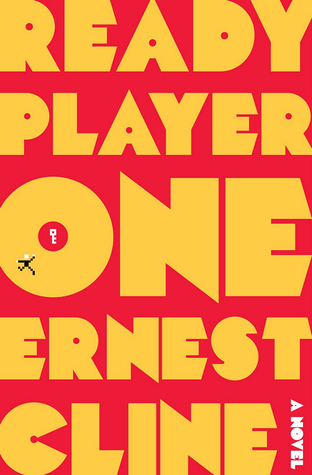 I’ll take on whatever — and whoever — I have to in order to find my friends. Watch out, Strays — ’cause I got claws, and I’m not afraid to use them . . . 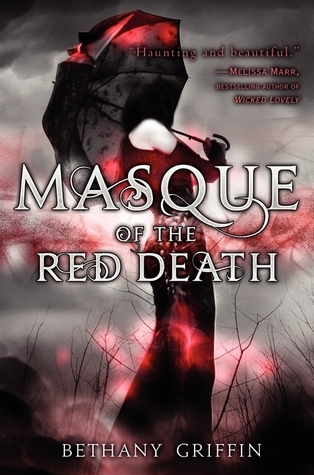 This was Yasmin’s pick for March, and I have to say that I really enjoyed it! 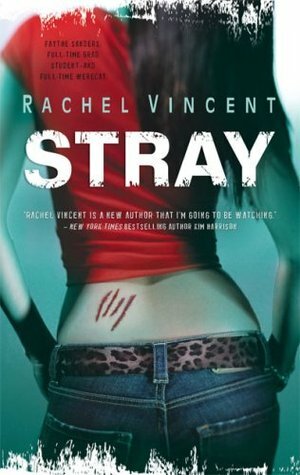 There is a sort of formula for these types of supernatural/urban fantasy stories which generally creates a similar outcome each time (alpha male + strong willed female × bad guy kidnapping her = lots of drama and a few steamy scenes) but if you like the formula then you will enjoy Stray. It is easy to read, and although the first portion of the book is a lot of information about werecats and their family histories – which wasn’t to everyone’s tastes, I personally loved it. Probably because I’m nosey! I liked Faythe, she is a typical spoiled only girl in the family and she wants to do things her own way. As well as being head strong she is also smart and capable of looking after herself, which makes a nice change. There are a lot of peripheral characters in this story, which can get quite confusing at times, but I quickly found my favourites and hope to read more about them later on in the series. Especially Jace and Parker. Swoon. I really enjoyed the character development that happened with Faythe, she went through a lot in quite a short space of time and you could see her becoming unsure of her choices and questioning her actions. It was definitely important to the story that she get knocked down a peg or two so that she could start to see things from her Pride’s point of view. All in all it was a 616 page book that I read within a few hours. Which is normally a good sign! 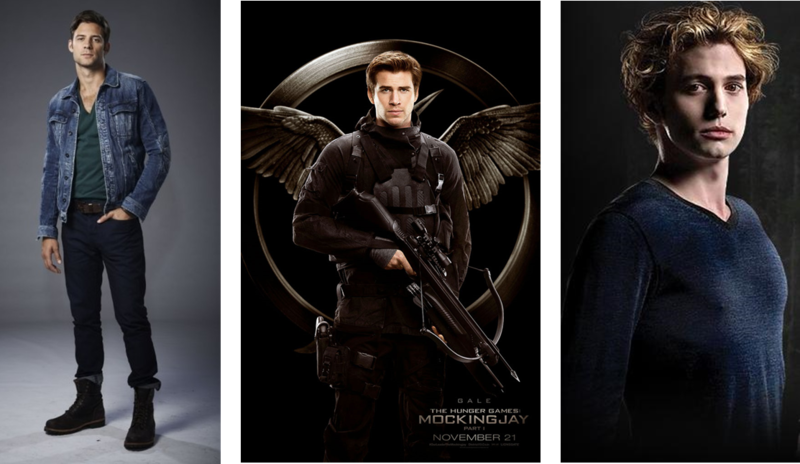 I really liked the various supporting characters, and how each of them contributed to the story. Ethan and Jace stood out for me, and secretly I think Faythe might have made the wrong choice with Marc. As the main character I found Faythe difficult to like; I’m not sure why, but I just didn’t warm to her. She was massively over-confident to begin with, and appeared quite selfish. The character development was great and she was a different person by the end of the book. Sometimes you just want something familiar and easy to read. Stray totally delivers on both counts. Reading this story as an adult gave me a totally different perspective. 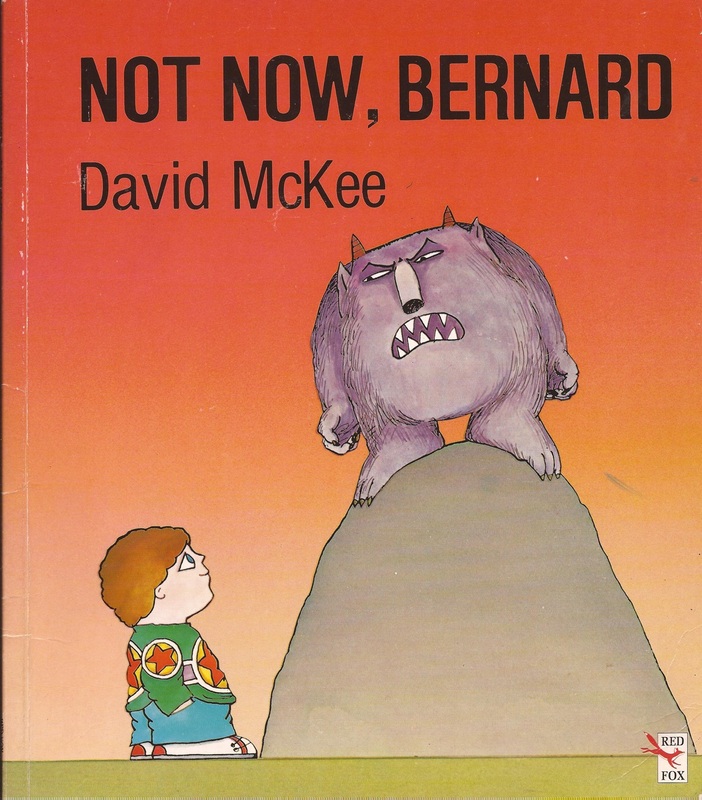 As a child, I was horrified that because his parents ignored him, Bernard was eaten by a monster! Growing up as the eldest child of 6, this story resonated with me and although it wasn’t done deliberately, I could really relate to Bernard and his struggle to get his parents attention. As an adult, I found this story hilarious and this time I could relate to the parents! Sometimes you’re just too busy to deal with your child’s or children’s (in my case) every whim. This is such a fantastic book. The postman is delivering all the Christmas Mail and we get to sneak a peek at it. Fully illustrated letters, postcards, recipes etc, this story is told through many different mediums and is beautifully interactive. 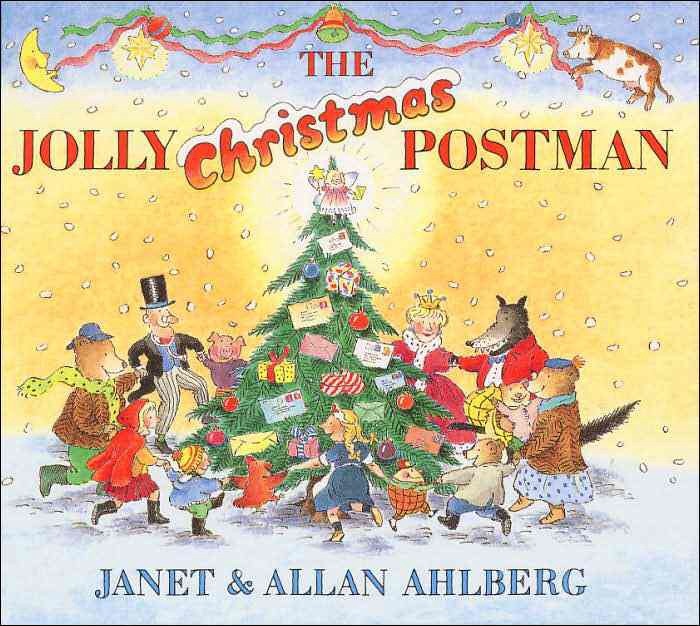 It adds to the magical atmosphere of Christmas, a must read for all young children. 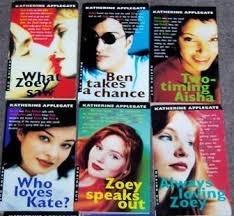 I discovered these books when I bought Just 17, a magazine for teens back in the 90’s. It was first serialised for the magazine and that’s when I found my love for romance books. I remember these books gripping me and leaving me with all the feels. Perfect stories for younger teenage girls, they were light and fluffy with drool worthy guys. 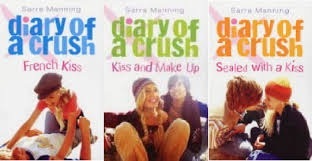 After reading the Diary of a Crush books, I went searching for more teen romance stories (not as easy as it is now) and I found the Making out series. I read the first few in this massively long series, they were exactly what I was looking for, light and fluffy romances. As a teen I flitted between these books, the Sweet Valley High books and the Point Horror books Laura already mentioned. I have mixed feeling about The Witch of Salt and Storm. I really love the premise and the setting. 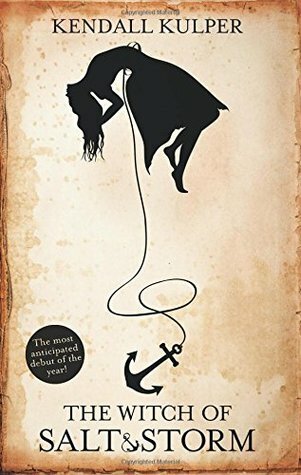 The writing style was lovely and lyrical but it also felt a bit disjointed at times and I had to read a few things twice to understand what was meant. This might be considered a bad thing, and I know some people will find it off putting, but it fit the style of the story quite well. The first half of the book moved at a very slow pace. There is a lot of family history, lore and scene setting to get through. I found it enjoyable but it didn’t move the storyline along as quickly as I would have liked. I loved the magic system, and can understand the lure of the sea. Each of the Roe witches had a different ability from their connection with the sea, and was all so interesting! I just would have liked a bit more of it throughout the book. There is a good mix of characters, and I found myself drawn towards Avery’s Grandmother and Tane. They both have quite turbulent pasts yet remain honest and likeable. I know that Whaling happened and why it did. I also understand why it was an integral part of the story, but that being said it wasn’t something I enjoyed reading about. Overall though I found it slow I did enjoy reading this. Historical fantasy isn’t something I have read much of, and this has definitely made me want to read more. Kyler has always put Syd on a pedestal that was too high for him to reach. To him, she’s perfect and she’s everything. But the feelings he has for her, he’s always hidden away or focused on any other female. After all, Kyler will always be the poor boy from the wrong side of the tracks, and Syd will always be the one girl he can never have. 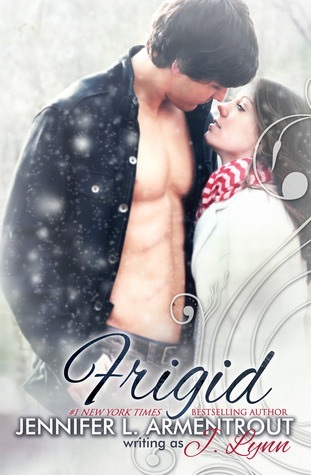 Frigid is a New Adult novel following Sydney and Kyler. The two have been best friends since they were little, but as the years go by they have fallen in love with each other. They can’t admit it to each other or themselves until their winter break from college. They become snowed in at Kyler’s family ski chalet, alone because their friends couldn’t make it due to the snow storm. As the days go by, Sydney finally admits to Kyler that she loves him but some complications and scary situations arise. 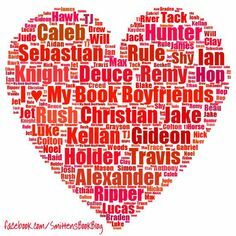 I love J. Lynn’s New Adult books and I also love her Young Adult books written under her name Jennifer L Armentrout. 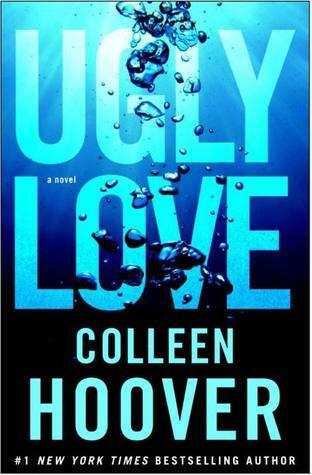 This was a quick read for me, it was fast paced and the writing style kept me hooked. 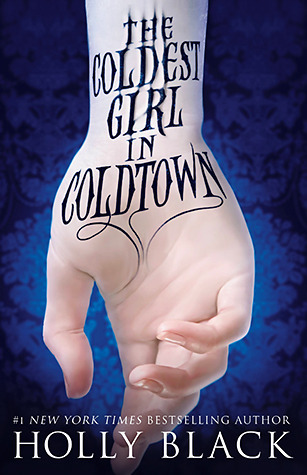 The story gave me lots of feels and I related quite a bit to Sydney, the female protagonist. The story is written from the dual perspectives of Sydney and Kyler. I loved reading the story from Kyler’s point of view; I find it fascinating seeing through a males eyes. They see things so differently from us females. The story has some cheesy moments, but I like cheese in small doses. Although the story was character driven, J Lynn gives you enough world building to visualise the story’s surroundings, so I found it easy to picture the story flowing in my head. This novel is quite light and fluffy. There was one section that got a bit heavy but overall it was just what I needed after some heavier reads I’ve been experiencing lately. 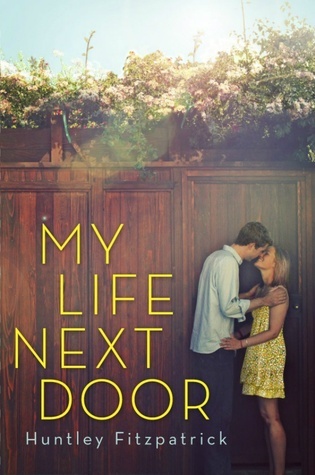 A perfect New Adult romance, I loved it!